At Community Bariatric Services – Community Surgery Center – Hamilton, our experienced, knowledgeable, joyful team is ready to help you throughout your upcoming or continuing weight loss journey—from your initial LAP-BAND consultation to post-surgical gastric-lap-band diet plan and ongoing support. Learn a little more about the people that will help you change your life! Jamie Owens, RN Registered Nurse. Motto: Take action and light the way. I wanted to do something in my career that is challenging, interesting, and makes a difference in people’s lives on a daily basis. I love spending time with my husband, Rick. We have five grandchildren that we enjoy spending time with. We watch sporting events, travel and relax by the fire pit. I love to have a great time with my girlfriends as well. 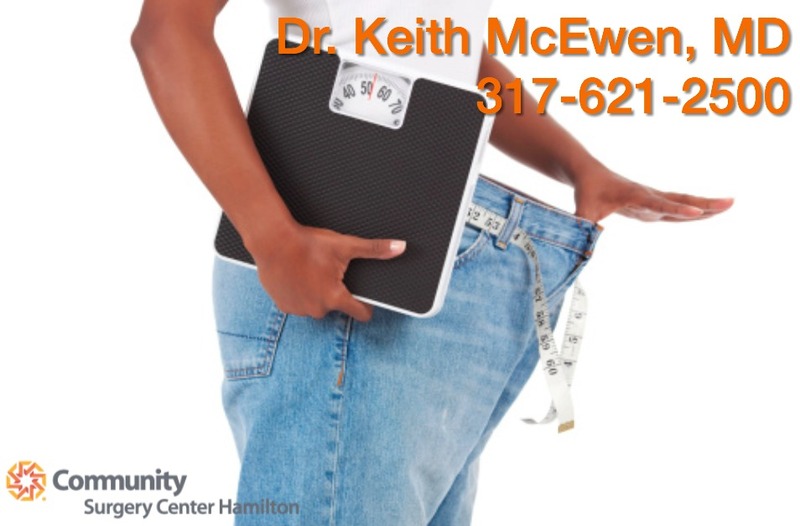 What do you like most about working with Dr. Keith McEwen at his surgical weight loss practice? Working for Dr. McEwen has been my best career decision. I have loved meeting all of our patients and participating in their journeys. Everyone is so INSPIRING! They are making hard decisions on changing their lifestyles. It is very rewarding to help them achieve their goals and support them if they hit bumps in the road. I love to hear their stories. My fellow staff members and Dr. McEwen are such a joy to work with. We have a great rapport with each other. I look forward to walking into the office every morning! It has been a blessing to get paid to do something that you love! Jessie Sarlls, Family Nurse Practitioner-Certified. I entered the field of nursing because I felt it would be a profession where I could learn something new every day, whether it’s from my colleagues or the patients I helped. The multiple challenges over in this field made me fall in love with being a nurse. I’ve continued my education and have obtained my certification in becoming a Nurse Practitioner. I love riding horses, spending time at the lake and enjoying quality time with my family and friends. Lauren Harrison, MA, RDN Registered Dietitian. Lauren joined Dr. McEwen’s team in June 2015. Lauren has a master of arts in nutrition and dietetics from Ball State University where she also completed her undergraduate degree in nutrition. She has previous experience in nutrition counseling and weight management. Her main goal is to support her team and her patients through goal setting, leading to attainable lifestyle changes that improve each patient’s overall health and quality of life. She truly enjoys getting to know each patient and looks forward to helping each one along their journey to healthy living. What do you like most about working with Dr. Keith McEwen at his surgical weight loss practice? My favorite part of the job is being a part of the patient’s success story. Helping them recognize and achieve their potential not only through the numbers on the scale but in quality of life. The most rewarding part is seeing patients gain SO much confidence in themselves and get their groove back! Healthcare is an exciting, ever-changing, evolution of technology with the bonus of helping others. I have a thirst for knowledge so the health field was a great fit for my personality. I have been involved with many different roles, aspects and areas which has allowed me to experience and build relationships with patients and co-workers. I feel every day is an adventure waiting to unfold. When I am not at work, I enjoy quality time with my children and friends. We are very active. I love to be outside regardless if I am running, working or relaxing with a book. I enjoy traveling and believe it or not- I am a foodie. I cannot cook, but I am passionate about food. When I am home, some of my favorite activities include watching sporting events, boating with friends, riding bikes or playing games. I am a morning person, which annoys some people. The most pleasurable thing I do every day is LAUGH! I have worked with Dr. McEwen since 1998. My favorite part of my work is the ability to attempt to inspire others to engage in better health. I love to have the opportunity to meet and be involved with new and interesting people in different walks of life. Being a witness to those who accept and implement the weight loss that we provide is inspirational to me. I am blessed because I love my co-workers. I feel that my patients and my team are part of my family. We work hard, we laugh together and we attempt to inspire and educate! Motto: Do not take the road everyone else takes, for it will only get you stuck in traffic. I love working with people! To be able to work and help people at the same time made it very easy to choose a position in healthcare. Outside of work, I enjoy spending time with my three children. Also, I enjoy coaching swimming as well as teaching swim lessons. I love to do anything outdoors, but prefer to be someplace on the water. I have worked for Dr. McEwen now for several years. I love the people I work with and enjoy seeing the success of our patients. Dr. McEwen is very passionate about his work and you can tell it from the response from his patients. I could not have asked for a better place to work. Alison Erwin, Insurance Specialist and Administration. My choice to go into healthcare arose from my desire to help people with my business background and the opportunity to use my strong communication skills obtained from my educational experience. I love to garden, spend time with my children and St. Bernard, and am very creative. I love to host and throw children’s birthday parties and themed events to showcase my creativity. The best thing about working with the bariatric patients is the ability to help people through the very difficult processes of complicated health insurance issues in the ever-evolving healthcare industry. The ability to communicate and help patients reach their ultimate goal of better health is a true reward each and every day. The joy patients have when they see the weight coming off and are so very thankful for their steps to reach that goal always brings a smile to my face and makes a day complete. Barb Ingram, Front Office Administrator. Barb Ingram, From Office Administrator. Healthcare seems to keep finding me. I spent several years in the optometric field, then stepped back to raise my children and help manage a home-based business. After several years, I jumped back into healthcare with positions at a physical therapy clinic and then a hospital setting. I love providing excellent customer service in healthcare—because there is an extra level of care and compassion required, my sensitive nature is drawn to this challenge. To relax, I love spending time in my gardens—my new vegetable to try this year is eggplant. My husband and I also enjoy traveling, visiting our children in St. Louis and Orlando, and discovering the many hiking trails in Indiana and beyond. The best things about working for Dr. McEwen are encouraging patients as they pursue better health and celebrating with patients when they meet their goals. This practice is very specialized, and I like that the focus on the patient’s success is the top priority. When they succeed, we succeed, and there is no better reward than that! Jessica Hatt, Certified Medical Assistant, Front Office Coordinator. My mother is in healthcare and encouraged me to volunteer as a teenager at Methodist hospital. I loved the work and enjoyed the way you can make a difference in a patient’s life, whether you work in billing, front office, or direct patient care. I love to be outside. Bike riding, camping, fishing, and boating are some of my favorites. During the summer you can find me with my three kids at the pool or on the lake as often as possible. I love getting to watch as patients start and succeed on their journey to a healthier life. With the Lap Band System, you can watch from start to finish on how your efforts and your team efforts can truly change a patient’s life forever. Working with our weight loss team with Dr. McEwen as our leader is very rewarding. We are able to connect and know our patients prior to surgery and continue the follow up after their lap band placement. Our patients become are friends.